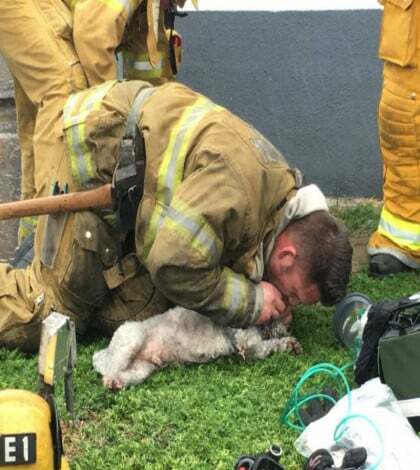 Last week a Fire Fighter saved Nalu the dog. Nalu was put in an oxygen chamber to help him breathe. In the next 24 hours he was fine.